A female entrepreneur who builds her businesses around her family is known as a Mompreneur. This group of professionals face certain obstacles, such as finding it hard to achieve a work-life balance. 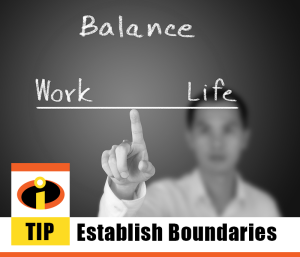 One way to create a balance is by establishing boundaries. When working from home, it can be especially difficult to establish boundaries over your time and work space. Begin by creating a dedicated area in your home that is yours. If you’re children are old enough to understand, make it clear the area is yours and they are to respect it as your workspace (e.g. no toys). If your children are too young to understand, just make sure important business papers and materials are kept out of their reach. 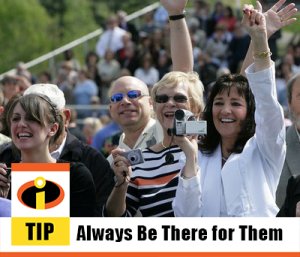 Schedule both family and business responsibilities daily, making sure it’s a realistic schedule you can stick to. 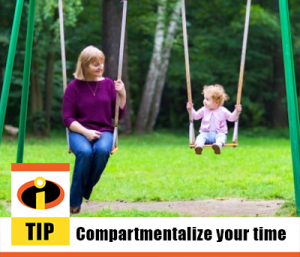 For example, though it’s easy when working from home to stop and throw in a load or two of laundry, don’t do it during work time. When playing with the kids, be fully in the moment. Let work calls go to voicemail when you’re at the park. Wearing one hat a time is the best way to stay focused and productive. “The one tip I can share with others about balancing motherhood with running a business is that time blocking is everything. I have a color-coded calendar (blue for kid stuff, orange for work stuff, etc.) When I block off specific times in my calendar to work my business vs. focus on my family it allows me to be 100% in the moment regardless of where I am—absolutely guilt-free. 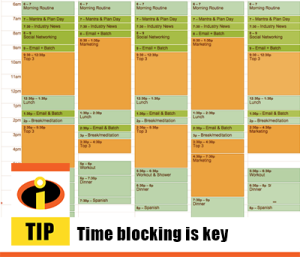 With time-blocking, I control my calendar and how I spend my time, rather than it controlling me. It’s a beautiful thing!” – Stephanie Nivinskus, SizzleForce, Inc. 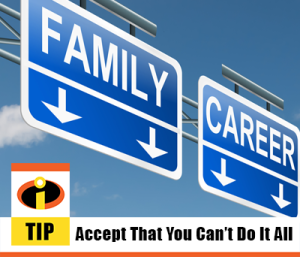 Acceptance is the most important step to a healthy work/life balance for the busy Mompreneuer. You just can’t do it all. You have to let some things go. Saying no to a girls weekend away may make you feel like you are missing out, but you need to manage the precious, limited resource of time that they have. Turning down a project because you really feel like you can’t fit it in is ok. Having a family and having a career aren’t two separate things. They can be the on the same road as long as you practice a healthy work/life balance.